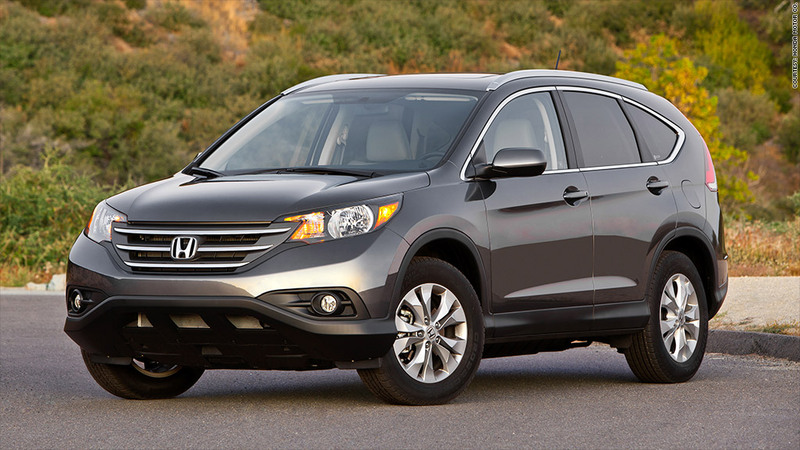 The 2012 CRV is among the vehicles affected by the Honda recall. Honda is recalling over 225,000 vehicles in the U.S. and Canada because of a problem related to their brakes and transmissions, the latest in a series of large-scale recalls for the company. In the U.S., the recall affects roughly 128,000 Honda CR-V's and 59,000 Odysseys from model years 2012 and 2013, as well as 17,500 Acura RDX's from 2013, Honda said in a statement. Some 14,000 CR-V's, 4,500 Odysseys and 2,300 RDX's in Canada are also being recalled. Honda said that in sub-freezing temperatures, these vehicles may be shifted out of park even with the brake pedal isn't depressed. There haven't been any complaints, crashes or injuries reported in connection with this issue, the Japanese automaker said. Honda (HMC) will notify vehicle owners of the problem and direct them to dealerships where the issue will be resolved free of charge. Owners can check if their vehicle needs to be repaired at www.recalls.honda.com and www.recalls.acura.com. This week's recall follows several similar headaches in the past few months. In January, the company announced the recall of 748,000 Odyssey minivans and Pilot SUVs because of problems with their airbags. In March, the automaker ordered the recall of 180,000 vehicles in the United States, and almost 250,000 worldwide, because of a defect that could potentially cause the brakes to be applied inadvertently. Just last week, Honda announced the recall of 1.1 million vehicles in order to replace their passenger airbag inflators. In all cases, the company said it was not aware of any injuries resulting from the problems.